Looking for an affordable smartphone with an insanely tough screen and long-lasting battery life? Oukitel K4000 gets you covered. Check it out. In our quest of finding the right device for our shallow pockets, we have stumbled upon the Oukitel K4000. It is a promising smartphone packed with most of the features you need in a daily driver. For one, the handset comes with a juicy battery pack that could give your device a good mileage away from the wall outlet. At the same time, it has proven to be one of the toughest hardware around. The marquee feature of the device is the built-in tempered glass with three anti-scratch 9H hardness screen protection. This makes the device handle several bumps and tosses without the worry of scratching its surface. The screen is also marketed to withstand more than 800 MPa stress. In fact there have been several experiments that tests the handset's strength. This include knocking a nail into a wood, hammering the display and being run over by a car. The Oukitel K4000 survived it all. Under the hood, the Oukitel K4000 plainly comes with a quad-core CPU clocked at 1GHz speed from the MediaTek MT6735 chipset. Likewise, there's also a good offering of 2GB of RAM for faster app launching and multitasking performance. The major contributor to the depletion of the 4000 mAh battery is the 5-inch HD display with 1280 x 720 pixels. One good thing about the camera is that it comes with 2.5D curved edge glass. Across the board, the 16GB internal memory could take in apps and other multimedia files. It is also expandable up to 32GB using a microSD slot. For the camera buff, the interpolated 13MP rear camera is enough to keep the snaps alive. Likewise, the tweaked 5MP front shooter is also up for great social media selfies. The device boots with Android 5.1 Lollipop for faster Android experience. There's also 4G connectivity for mobile internet. The major selling point of the handset is its battery which could deliver 5 days of normal use and 2.5 days of moderate to heavy use. 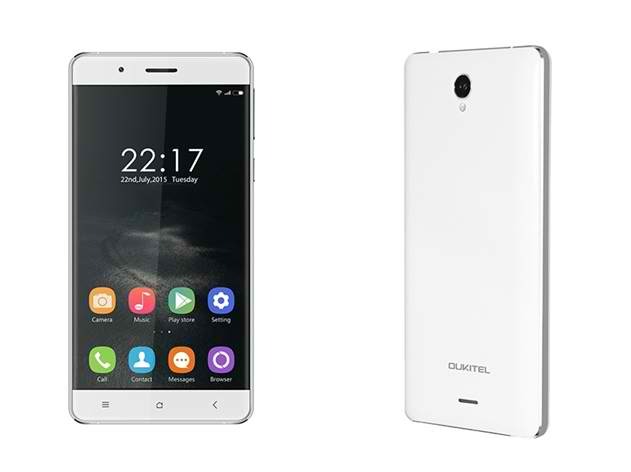 The Oukitel K4000 is now on presale with USD 119.99 asking price via GearBest.